Oven tested calibration samples for testing the accuracy of your moisture meter. Don't have time to visit a Moisture Meter Clinic? Suitable for satisfying the Farm Assurance Schemes requirement for annual moisture meter calibration. 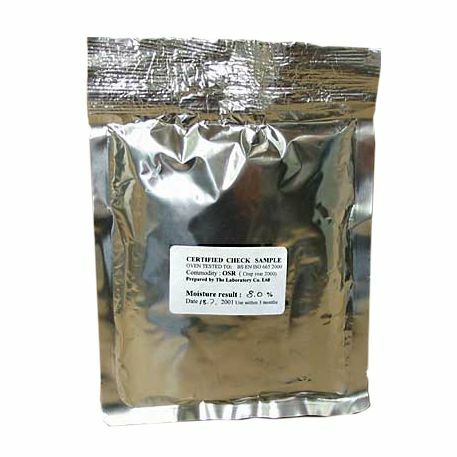 Each foil sealed pack contains a 180-200g oven tested sample with the moisture content clearly marked. To meet farm assurance requirements, a sample of each grown crop should be purchased and tested in the moisture meter. The result should be recorded and any deviation from the moisture content of the calibration pack noted. Use-by date indicated on pack. Once opened packs should be stored in airtight containers to ensure accuracy of moisture content.